Who is Sathya Sai Baba? The training programs are delivered by recognized trainers of CISSE and those identified as Faculty Members of CISSE. These trainers possess a variety of professional credentials in education and other fields with a background in Sathya Sai Education in Human Values and experience in working with children and adults. Anyone may apply. Since the courses are designed to be highly interactive and experiential, registration will be limited to about 25 participants per session. Every student must become a light unto himself and a light for his home, his city and his nation. Dynamic Parenting Facilitators Training 30th March to 1st April, 2018 (inclusive), Toronto. Copyright 2011. 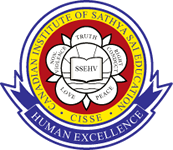 Canadian Institute of Sathya Sai Education. All Rights Reserved.